Please read my reply to the other thread you created on this topic. 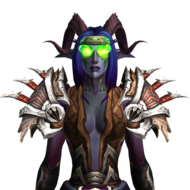 Demon Hunters are available in 7.3.5 (Only Night Elves/Blood Elves can be Demon Hunters), you need a level 70 character in order to create one (Assuming you don't have a level 70 character yet). is it normal i dont see the class in the character creation? I created an alt account to see for myself and it's the same for me as well (No Demon Hunter in character creation). Most likely you haven't leveled a character to 70 yet.